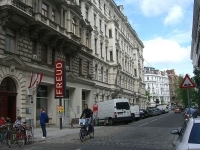 Sightseeing in Vienna is dominated by beautiful historic attractions and cultural treasures. With everything from palaces to 'flying horses', this splendid city has hundreds of interesting sites and attractions to explore. With lovely summers for sightseeing and snowy winters for skiing, Vienna's seasons are just as accommodating. The Imperial Palace is home to the Schatzkammer, which is the greatest treasury in the world and holds treasure from as far back as the Holy Roman Empire. The Fine Arts Museum across from the palace houses many of the art collections gathered by the Habsburgs and is sumptuously decorated with marble, gold leaf, and stucco ornaments. See the world famous Lipizzaner stallions, which appear to fly in their superb performances. Another of Vienna's most recognisable attractions is the Giant Wheel, located in a large wooded park. And for those with song and dance in their hearts, the Vienna State Opera performs a vast repertoire of operas, operettas, and ballets. Vienna has been home to some of classical music's greatest composers, and visitors can easily spend a day touring the residences where Beethoven wrote his 5th Symphony, Haydn composed The Creation, and Strauss wrote the Blue Danube Waltz. No musical tour would be complete without seeing the Mozart Memorial. Most of the city's attractions are encompassed by the Ringstrasse, which makes them easily accessible, especially on foot or by bike. The Vienna Card is handy for reduced fares when using public transport in the city. With so many beautiful areas, cultural attractions and historic sites, Vienna is definitely a city to spend plenty of time in.